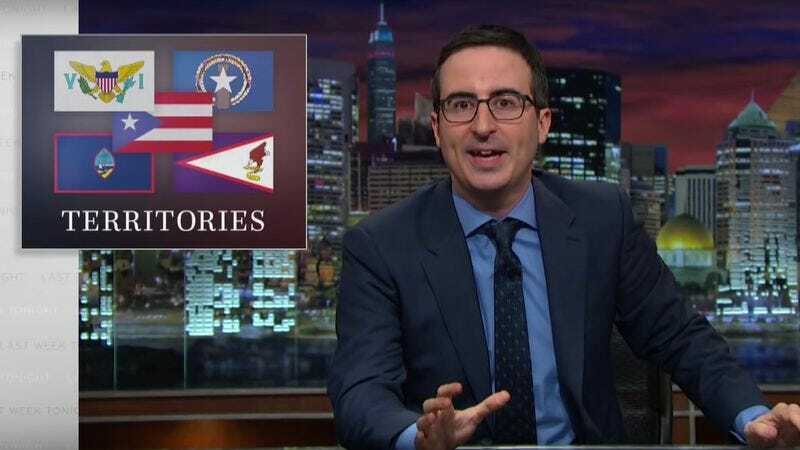 John Oliver has influenced the opinions of many Last Week Tonight viewers. But apparently he’s influencing legal decisions as well, as ninth circuit judge Marsha S. Berzon recently cited the show as part of her r opinion in the case of Paeste v. Guam. The case alleged the Guamanian government had withheld tax refunds in order to deal with a budget crisis, and then paid them back in an unregulated manner that put the poorest citizens at a low priority. In her ruling, Berzon agreed that the government of Guam was at fault. But rulings about U.S. territories like Guam are always tricky; though residents are U.S. citizens, they are denied full constitutional rights based on a racist “Insular Cases” ruling from 1901. The ruling claims the residents of these territories are “alien races” who can’t understand “Anglo-Saxon principles” and therefore don’t deserve full rights.